The 10 Best Mountain Biking Trails in Wisconsin! 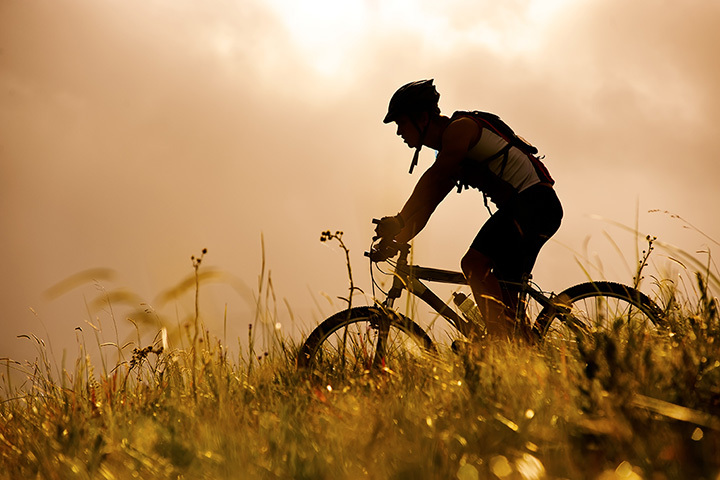 Mountain biking is a great way to get out and enjoy nature. Wisconsin has a perfect terrain for those looking for intermediate to a more challenging course. Speed through heavily forested trails and make a pit stop to take in the beautiful lakes! Here are the 10 best mountain biking trails in the state. This single track mountain bike trail is located in Rockdale, Wisconsin. You’ll find a fun 11 miles worth of track to ride on. Other mountain bikers rank this trail to be intermediate compared to others. You’ll find narrow bridges located within heavily wooded areas, the course will take about an hour. Rock Lake is another popular single track mountain biking trail. This intermediate trail will challenge you with its hilly terrain through thick forest and beautiful lakes. You’ll be surprised at how much of a work out you’ll get on the Rock Lake Mountain Bike Trail. Hop on almost 20 miles worth of epic mountain biking trail in Neillsville, Wisconsin. This single track is difficult due to its terrain and length. Don’t be surprised by the hills, mounds, sand, and roots when riding. If you’re a skilled mountain biker looking for an extra challenge you won’t be disappointed with this expansive trail. The Emma Carlin offers three different loops of varying lengths. If you are looking for a trail that will be able to connect you to other great trails, the Emma Carlin in Eagle, Wisconsin, is perfect. It connects with the John Muir Trail—another challenging trail to try! Hickory Ridge Trail is a great mountain biking trail that challenges you. You’ll find a couple of uphill battles, tricky terrain, but spectacular views. You’ll see tons of lakes on this seamlessly flowing trail. Enjoy 15 miles of well design trails in Bloomer, Wisconsin. The Alpine Valley mountain bike trail is short. The trail itself is only about five miles in length, but what it lacks in length it makes up for on the ride. The Alpine Valley Trail is an advanced trail bring you through a bunch of quick turns and a lot of uphill climbing. Skilled mountain bikers head on over! Lowes Creek in Eau Claire is a fairly intermedia ride for those looking to get started. The track is around 10 miles in length and crosses creeks and has a few log obstacles. For the most part it will be smooth sailing for those looking to take in the scenery of Lowes Creek. Located on the outskirts of Madison, the Pleasant View mountain bike trail is anything but an easy ride, so novices: be careful! This challenging trail takes you both in woods and in prairie. Pay attention to twists and obstacles and you flow through the trail. Contrary to its name, Nine Mile Trail is not nine miles—it’s 32! This trail has a little bit of everything but is a fairy intermediate trail. There are a bunch of twists and turns that are eventually evened out by a more flowy terrain. Be careful for rocks, stumps, and roots! Anyone from beginner to expert can find some fun on WinMan Trail. It’s got challenging aspects from its twists and terrain to a more straight and narrow stretch. You’ll love how well maintained and easy to navigate the WinMan Trail is.